Casino Coins is now closed. 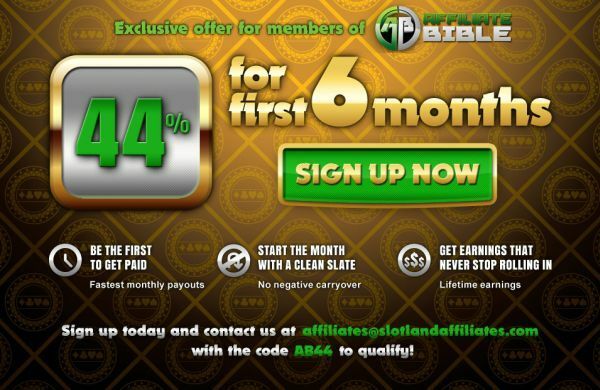 It’s a shame as Casino Coins an excellent affiliate program, ran by an even better affiliate manager in Nick Yap. Casino Coins brands included VIP Slots, English Harbour Casino, and Millionaire Casino. Unfortunately, the fallout from “Black Friday” on April 15th 2011, when the Department of Justice seized the domains of rooms like Full Tilt Poker and Pokerstars, caused numerous payment processing issues. This seriously affected the payment processing of Vegas Tech casinos which was the software utilized by the Casino Coins group. On May 16th, 2011 Casino Coins announced that they would no longer be taking any new players. Their casinos remained open slightly longer but those brands eventually closed down as well. The original Casino Coins affiliate program review is retained for archival purposes. Casino Coins have 7 brands available to offer to your casino players. They are English Harbour Casino, VIP Slots, Slots Galore, Millionaire Casino, Silver Dollar Casino, SuperSlots and Caribbean Gold Casino. All 7 Casino Coins brands use the Vegas Tech software. All 7 brands are solid to promote, however there are a few specialty brands you should really focus on. The first is Millionaire Casino. Their whole website just screams “class”, to the point that prospective new players will be hooked immediately. Millionaire Casino offer a whopping $5,000 deposit bonus for all new players. I also really like VIP Slots, which is great at converting slots players. VIP Slots is obviously a good option for selling players on a solid reward programs, just based on the name alone. The final Casino Coins brand I focus on is English Harbour Casino. This is one of Casino Coins flagship casinos, and they put a lot of focus on it. It’s also a strong brand name which has garnered a strong reputation through the years, and is a no brainer when it comes to promoting. Casino Coins offers both revenue share and CPA Deals for all their properties. For Cost Per Acquisition deals, you have to sign up at Casino Coins then contact them about it. Millionaire Casino: Millionaire Casino currently offers a $5,000 free signup bonus, spread out over three deposits. Millionaire Casino is a great casino to market to high rollers and your more “serious” type player. Send the Baccarat Players here! English Harbour Casino: Harbour offers an $800 bonus, plus $10,000 in freerolls which is a vague promotion which will get a lot of click-thrus. With a tiered VIP program, you can promote English Harbour to any type of player. VIP Slots: Obviously with the name alone, you should be marketing this mainly to Slots players, and focusing heavily on the rewards program. Slots Galore: A rather “elite” style design to them, however I’ve never promoted Slots Galore. Super Slots: Never had much luck promoting. They have a “fun” name to them which you’d think would attract the casual player, but the homepage design doesn’t match the brand at all. Silver Dollar Casino: Strong brand name, some unique promotions and a strong focus on reload promos and monthly promotions. Aim for the casual player. Caribbean Gold: I’ve always found that Caribbean Gold is a good place to send Caribbean Stud players. At this time, Casino Coins is closed. While their existing players can still play, no new players can sign up at Casino Coins properties. All Casino Coins brands use the Vegas Technology Software. All Casino Coins brands allow Windows players to play via a downloadable client, or browser based software. Mac users can use the “Instant Play” option which allows them to play in their browser. Casino Coins homepages are translated to English only. Q: Do the Casino Coins casinos have Mac software? They do not currently have downloadable software that will work on Mac. However they offer a web-based casino that Mac players can play at. Also the CTA Buttons for their “Instant Play” Casino all have the Apple logo on them, which will obviously help with conversions for Mac users. This article was written on October 13, 2009 however all articles are looked at on a monthly basis and updated to keep them relevant. Thank Targeted Marketing It’s Monday!